SPYSHOTS: L405 Range Rover facelift spotted testing - plug-in hybrid variant to lead revised model charge? 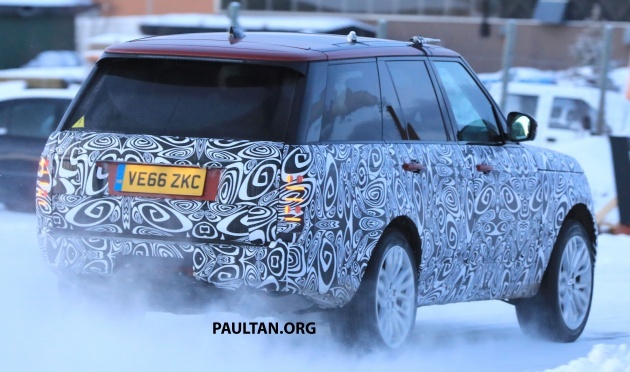 Home » Cars » SPYSHOTS: L405 Range Rover facelift spotted testing – plug-in hybrid variant to lead revised model charge? SPYSHOTS: L405 Range Rover facelift spotted testing – plug-in hybrid variant to lead revised model charge? Launched in 2012, the L405 Range Rover is the latest in just four generations, which is a long time in between iterations considering that the original, first-generation Range Rover first made its premiere in 1970. Now, an update for the Range Rover appears to be on the horizon, five years into the L405’s lifecycle. 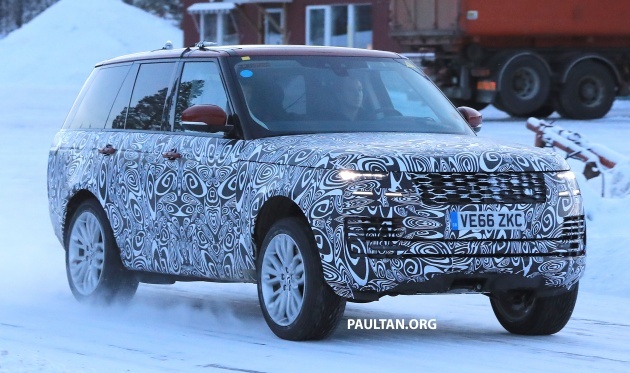 Outwardly, the Range Rover development unit here appears to wear very minor changes to its exterior beneath the camouflage foil, save for updated headlamp and tail lamp designs. So far, much the same as before, plus the added pair of warning stickers on the vehicle – the lightning bolt symbol indicates some level of electrification, possibly a plug-in hybrid variant. The powertrain underneath the skin is thought to be a petrol-electric combo; a 295 hp Ingenium 2.0 litre turbocharged petrol engine is said to be paired with motors fed by a lithium-ion battery located under the Range Rover’s boot floor. This plug-in hybrid is highly likely to have electric-only capability, with battery range in the realm of 32-48 km, according to Autocar. Inside, the revised Range Rover could gain the updates applied to the 2017 model-year Range Rover Sport. In that model, semi-autonomous driving aids include Advanced Tow Assist, Blind Spot Assist and Intelligent Speed Limiter which work with the existing assistance systems to increase the level of driver aids; these updates could also be applied to the facelifted Range Rover. It remains to be seen if the full-fledged Range Rover will receive the 2.0 litre SD4 Ingenium diesel engine, considering that the four-cylinder-powered L405 precedent could well be set by the plug-in hybrid seen here – the model range currently has two diesels, a 3.0 litre TDV6 and a 4.4 litre SDV8. This won’t have been the first instance of a hybrid Range Rover; diesel-electric variants made their debuts in 2013.